SANTA CLARA, Calif. -- Final test results of a white powder found in a letter sent to a civil rights group in Santa Clara last week came back negative this morning, according to the FBI. The letter sent on Dec. 10 to the San Francisco Bay Area chapter of the Council on American-Islamic Relations contained a powder that prompted evacuations for the office building at 3000 Scott Blvd., police said. A hazardous materials team conducted an investigation into the substance that lasted into night, according to police. Three employees who were inside CAIR's office when the envelope was found were transported to a hospital as a precaution and released that same day, according to the group's Bay Area executive director Zahra Billoo. Just hours before the discovery in Santa Clara, the advocacy group's Washington, D.C. office was evacuated due to a "foreign substance" found in the mail, organization officials said. Preliminary tests of the substance sent to the Capitol Hill office indicated it was not dangerous, according to the organization. 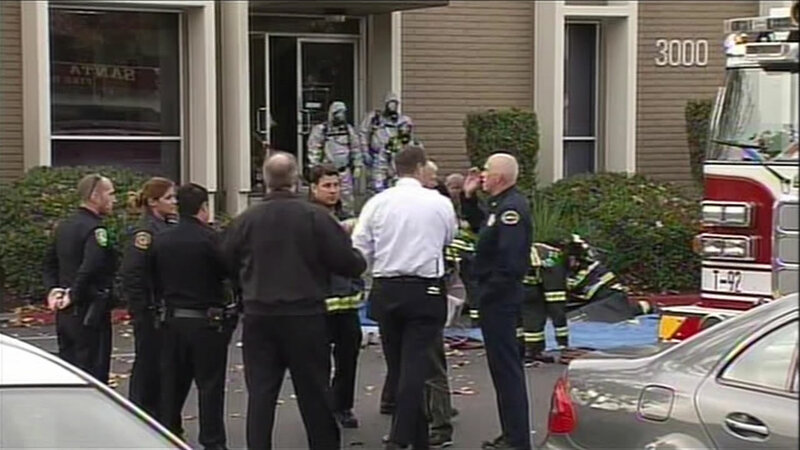 While the final results sent to the Bay Area office showed the powder was not hazardous or threatening, whoever sent the substance as a threat can still be prosecuted, FBI spokeswoman Michele Ernst said. The FBI is continuing to investigate the incident, Ernst said.